Trion Worlds is excited to formally reveal the dates for the upcoming closed beta test for Defiance 2050, its open-world sci-fi shooter launching this summer on PlayStation 4, Xbox One, and PC. The test will run in April across all three platforms. The PlayStation 4 beta test will only be available in North America for this event. The Defiance 2050 closed beta test will run the weekend of April 20 - 22. In the beta, players will be able to play through the Defiance 2050 experience up to level 25, as well as explore the areas of Mount Tam and Madera. The closed beta will offer up exciting story-based missions as well as give players a taste of the large-scale epic battles that they can expect when Defiance 2050 launches later this summer. 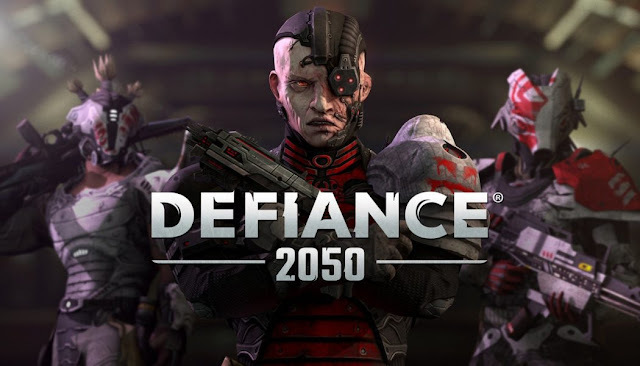 Defiance 2050 recreates the original game from the ground up, offering an experience that is the definitive Defiance experience in every way. Today’s consoles and PCs enable the dev team to implement features and upgrades that fans of the game have been clamoring for. Advancements in hardware allow for action on an even larger scale than before, with more players able to take to the battlefield in white-knuckled combat. More than just a simple graphical remaster, Defiance 2050 is a major update to the original game’s systems, which have been streamlined and modernized. Environments are bigger and better than ever, enemies are even more ruthless, and weaponry is more adaptable to the player’s style. Defiance 2050 will be available on PlayStation 4, Xbox One, and PC summer 2018. For more information on the game and to sign up for information on the upcoming closed beta, please visit www.defiance2050.com, and for more information on Trion Worlds, please visit www.trionworlds.com .